The Dapdong Cathedral of St. Paul can be found near Dongincheon Station up a steep Dap-dong neighborhood path. It is the center of Catholicism in Incheon and the site of the democratization movement in the city where numerous demonstrations were held. The center of the cathedral features one large tower and two small towers, one on each end of the sloped roof, which is an architectural format that was commonly used for churches in Korea in the early twentieth century. The main building material of Dapdong Cathedral is red brick. Instead of the uniquely-shaped gray rocks that make up most cathedrals, the Dapdong Cathedral uses molded granite for major features, which creates a simple yet majestic atmosphere. The most beautiful feature of the cathedral is the three bells inside the large tower. Also, a colorful stained glass display was made in 1979 to commemorate cathedral’s 90th anniversary. 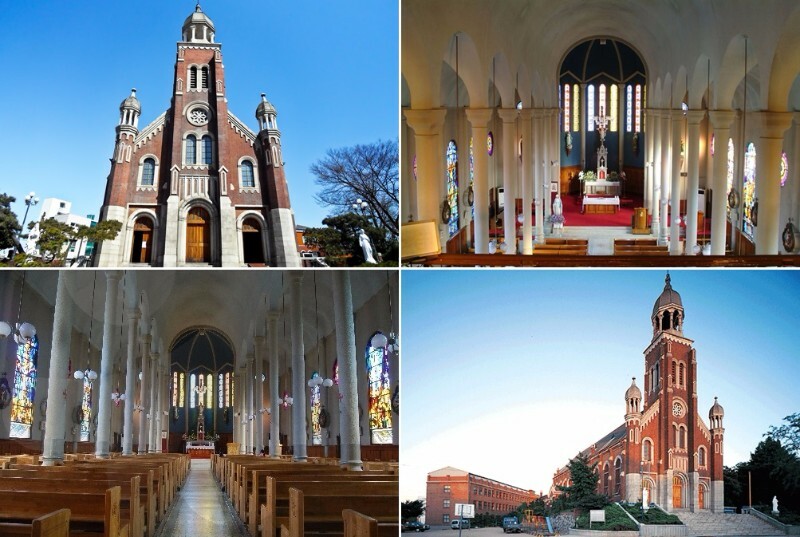 By opening the first orphanage (in the modern sense of the word) in the city, along with a private elementary school, Dapdong Cathedral has long been a proponent of not only religion but local welfare and education in Incheon. This is what makes the Dapdong Cathedral, one of the most prominent examples of early church architecture in Korea, truly beautiful.